StuartCo proudly congratulates Cindy Jacobson, Activity Director at The Alton Memory Care in St. Paul. 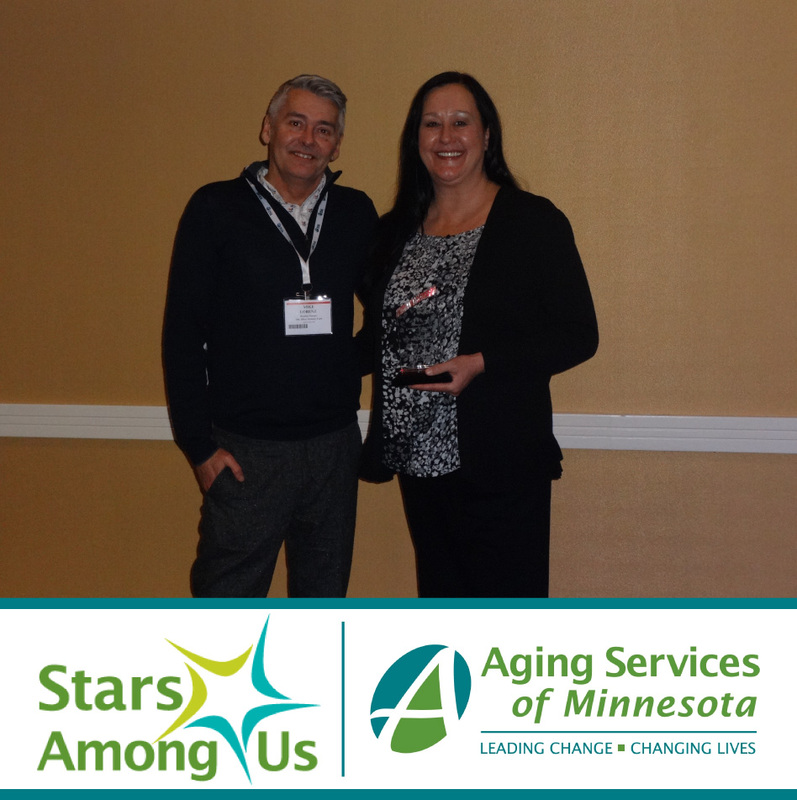 Cindy was awarded a prestigious Caregiver of the Year Award by Minnesota Aging Services. MN Aging Services is the largest association of organizations serving Minnesota Seniors. Their mission is to create the future of older adult services through excellence and innovation. Each year, dozens of member organizations and individuals are the recipients of Stars Among Us awards, presented during the Institute and Annual Meeting. As Activity Director, Cindy develops and executes a full schedule of creative recreational, educational, physical and social activities aimed to focus on her residents’ strengths, not their disabilities to enhance their quality of life. Cindy’s residents enjoy everything from concerts, outings, theme parties, and at present, an undefeated volley ball team. The Alton is StuartCo’s 65-suite memory care community; part of the Shepard Park Senior Campus in the Highland Park neighborhood of St. Paul, MN. For more information, visit www.TheAlton.com, or follow us on Facebook at www.facebook.com/shepardpark.